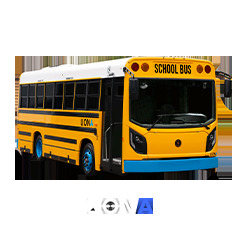 The is an all-electric minibus created for school transportation. 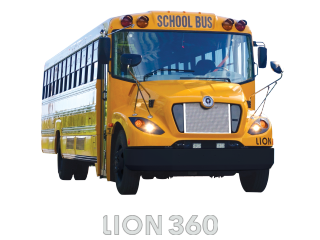 The Type A school bus will go-to-market during Fall 2018. 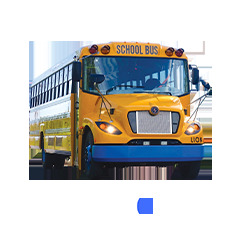 Entirely designed and manufactured by the Original Equipment Manufacturer (OEM), the meets all school transportation requirements while reducing the environnmental footprint. 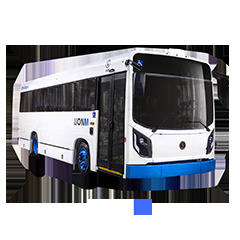 Equivalent or better performance than same category and combustion-engine vehicles with an electric motor that offers up to 149 kW (200 HP). Range of vehicle is 75 miles (120 km) or 150 miles (240 km). 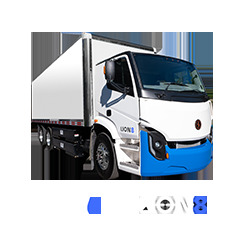 The battery swapping technology enhances the operation process as well as the all-electric fleet and charging structure management. The four-wheel adjustable suspension allows kneeling of 3.25 in. to ease passenger boarding process while offering a pleasant and steady ride for both the passenger and driver. Lion seeks to identify and understand all available North American subsidies to ensure rapid return on your investment. All informations are based on last data available. Final specifications may change.